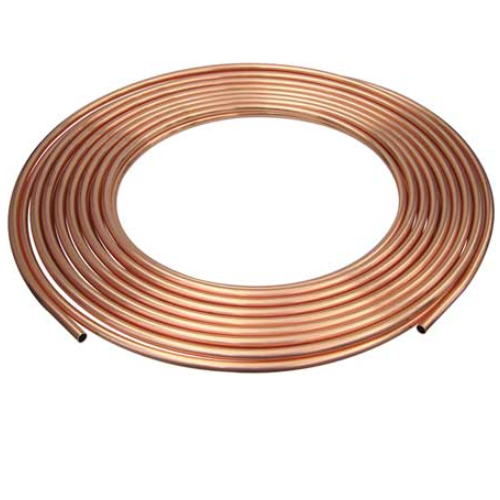 We have marked a distinct and dynamic position in the market by providing a high quality array of Copper Pipe. Our offered pipe is availed in a variety of sizes, dimensions and other such specifications to choose from. This pipe is precisely designed at our vendors highly advanced manufacturing unit following industry defined guidelines. The offered pipe can also be availed from us at the industry leading prices. We Super Fasteners Industries, established in the year 1976, We are engaged in Wholesaler and Trader a Pneumatic Fittings , Hydraulic Hose Fitting , SS Dairy Pipe Fittings , Brass Pipe Fittings and many more. We make use of latest machines to accomplish our supplying procedures. With a high quality range of products, we are satiating the requirements of our clients, such as TATA, L&;T Godrej, Asian Paint, Zandu Chemicals.